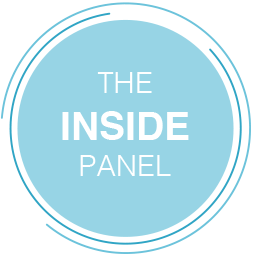 The Inside Panel is brought to you by all your favourite media brands. By participating in short, fun online activities, you will be influencing the commercial focus of the brands you love and can win great prizes! Signing up is easy. All we need is a few details from you which should only take few minutes and you’re good to go! An online research community is a community of individuals with similar interests, and experiences, who have voluntarily chosen to participate in online research studies about various topics related to their common interests. A brief member profile is the only information required for joining the community. This will ask basic contact information, as well as your age, gender, and media brands of interest. This helps us to know who is participating in activities, but also helps us ensure your community experience is more relevant to you. You will typically have anywhere from three days to two weeks to complete each activity. We encourage you to participate in as many studies as you are invited to. Each month we will have a monthly prize draw that you will be entered into just for participating in and completing our surveys - you will be entered once for each survey/activity taken. Yes. We will use the information that you provide to us in the member profile survey to send you invitations to surveys that fit your outlined preferences. How long will I remain on the community? You may remain on the community as long as you choose to participate. Members may remove themselves from The Inside Panel at any time by clicking the unsubscribe button found at the bottom of the emails that you receive from us. Alternatively you can unsubscribe by logging in at https://www.insidepanel.co.uk and selecting My Profile at the top right corner where you will find an Unsubscribe button. If you cannot remember your password, simply click on the “Forgot password” button on the community login page at The Inside Panel to have it e-mailed to yourself. If you continue to experience problems you can click on the Technical Support link in the bottom left corner of the page. You will be e-mailed a unique URL address for each survey you are invited. Simply click on the URL or button included in the email or alternatively cut and paste the address into a web browser of your choice and complete the survey form online. Survey length is closely controlled to minimize the use of your time. Yes, to show our appreciation, you will automatically be entered into our monthly prize draw every time you complete a survey.